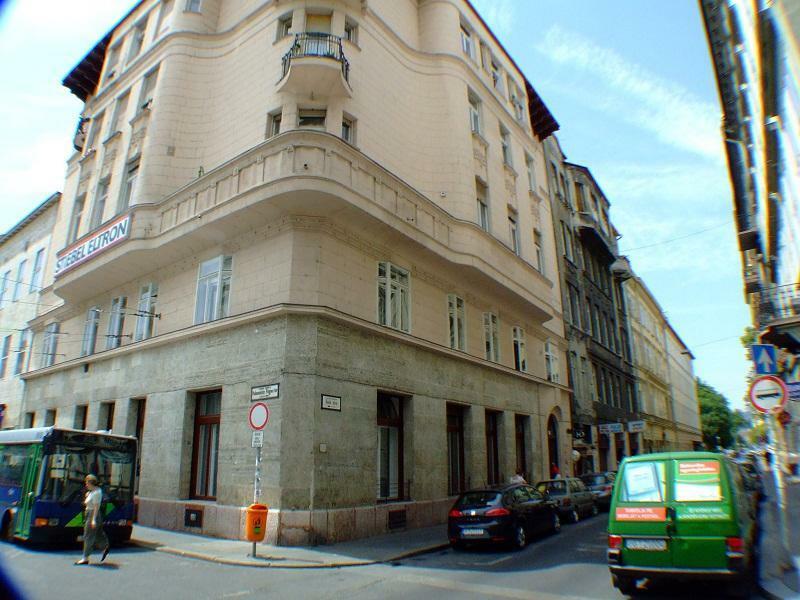 Boomerang Hostel is conveniently located in the city center, in a quiet street, just few steps from spectacular St. Steven's Basilica and Parliament! We're walking distance from almost everything. We offer dorms, private rooms and apartments in a tidy and home-like environment. If you are looking for quality, safe, clean accommodation in the center of Budapest please read further. Please read everything as there is important information to make your stay the best it can be with no surprises. Boomerang has been open for almost 5 years now pleasing guests from all over the world who are looking for quality accommodation. We don't have to boast about how good out location is, just check us out on the map! Offering you one of the best starting points during your stay, and friendly service you probably won't get elsewhere. With our personal care, we'll help guide you in our city just like a friend would for you. Our helpful and informative English speaking staff will assist you anytime with arranging programs, tours, providing you with detailed, current information about Budapest including: popular sights, nightlife, dining, sports, music, opera, theatre and other cultural events. Our main residence, like almost all the hostels in Budapest, is inside a quiet residential building; we're not a 4 star hotel. On the 2nd floor we have dorm rooms with shared kitchen and common-room, on 1st floor 4 tidy, private rooms with shared facilities, and a fully equipped kitchen for you to use. It's small enough to have you privacy if you wish and big enough where you are not left waiting for the bathroom also won't be disturbed if you want to sleep late. If it feels like a home, that's because we try to make it that way. Our ensuites are PRIVATE, private apartments that is. Ensuites are fully equipped apartments which are all still centrally located but off-site, within quick walking distance of the hostel if you need to stop by for internet or questions. Please note that if you book more than one ensuite they are not together but still not far apart either. * Free high speed Internet access is provided at the main residence, also equipped with Wi-Fi. Ensuites have keys for the main residence so can stop by whenever. *Arranging sightseeing, caving, biking, walking tours, hop-on/hop-off bus, pub-crawl, and even Segwey tours of the city. * In the neighborhood you can find several quality, local Hungarian restaurants as well as other international cuisine, pubs, nightclubs on your own or with our recommendation. *Nearby there is a 24hr market, ATMs, currency exchange, post office, three metro lines, a market hall (for fresh fruits, vegetables, and meats), 24/7 kebab stands, and 2 small supermarkets. *We're close to everythinggoogle maps Boomerang Hostel . *We have a minimum stay of two nights. *Payment can only be made in CASH, no credit cards. Bill is settled in HUF but we will accept at current rates. To all Students: Please tell us when you expect to arrive!! Don't make us give up your room. * We expect a polite and well mannered communication. * We will make sure you have an enjoyable and safe stay here if you are considerate of others. *Please do not change money in Train Station or Airport if at all possible, even though it says commission free you lose almost 20% with bad rates. Try to wait or use ATM. Boomerang Hostel - The place where you will always come back! Please note, that we are NOT a party hostel. We have a quiet period from 11pm onwards every night. We encourage everyone to leave our place to discover the Budapest nightlife after 11pm. We are more than willing to recommend places to carry on festivities. Please be careful of ticket sellers who may try and short change you. Ride to Arany Jnos utca (final stop). Find the building with a large STIEBEL-ELTRON sign, we are in this building entering from Bank utca, first door #7, Please ring #11. We are on the 1st floor. Please note we need to know when you will arrive to ensure someone is here to greet you when you arrive therefore please confirm your arrival by phone or email to arrange your check-in! If you are coming from the UK or Ireland, there are ATMS everywhere here; there is no need to change money at home banks with bad rates. Check www.xe.com to see the rates.